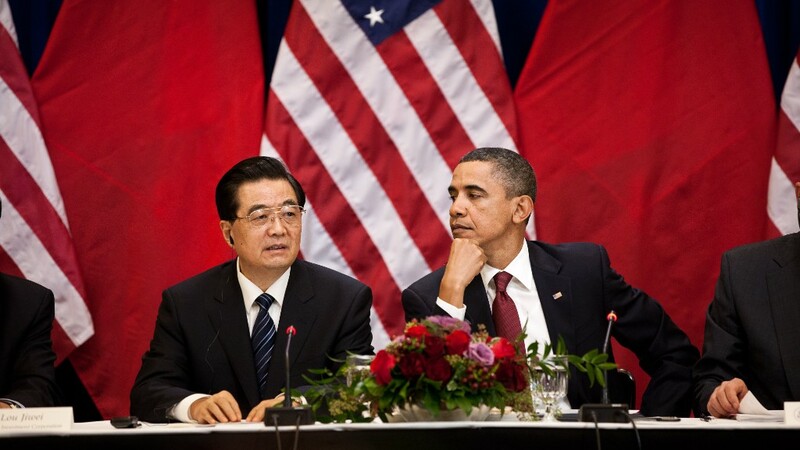 President Barack Obama and President Hu Jintao of China. The Obama administration filed a complaint Monday with the World Trade Organization, alleging that China has illegally subsidized automotive exports and undercut American suppliers. The complaint accuses China of providing $1 billion in illegal subsidies to auto and auto parts exporters between 2009 and 2011, according to a senior administration official. The Obama administration says that the benefits provided to Chinese companies violate a WTO prohibition on "export-contingent subsidies." In response, China filed its own case against the United States on Monday, according to the WTO. Details of the complaint were not immediately available. The WTO is the global organization that referees trade disputes between nations. The Chinese auto industry has grown rapidly in the last decade as China's growing middle class made the nation the largest market for car purchases in the world. General Motors (GM) now sells more cars in China than in the United States. Chinese exporters have managed in recent years to quickly ramp up their shipments of auto parts to the world's largest economy, according to the Obama administration complaint. The White House estimates that up to 60% of China's auto parts exporters benefit from subsidies, making it hard for American companies to compete. China exports virtually no assembled cars to the United States, but the export of auto parts by China is having a big impact on U.S. jobs. The parts industry in the United States employs far more workers than the automakers who assemble and sell the finished cars. In a related case filed in July, the administration launched a complaint against China with the WTO over $3 billion in duties Beijing placed on U.S. auto exports. The U.S. trade gap with China, the nation's most important -- and controversial -- trading partner, widened to a record $280 billion last year, and is on pace to get even bigger this year. Republican presidential candidate Mitt Romney criticized the latest Obama action against China as too little, too late. "President Obama's credibility on this issue has long since vanished. I will not wait until the last months of my presidency to stand up to China, or do so only when votes are at stake," he said in a statement. However, the Obama administration can point to some victories regarding China. This includes getting Beijing to let its currency, the yuan, rise in comparison to other currencies, rather than keeping it pegged to the dollar. Since China loosened the peg to the dollar, the yuan has gained nearly 8% in value. The auto complaint by the White House takes place as President Obama once again steers his campaign to Ohio -- a state saturated with auto part suppliers and industry workers. Manufacturing, the auto industry and its bailout are all issues central to the presidential campaign, and Ohio is crucial to the president's re-election plans. While the complaint comes just months before Election Day, frictions between the United States and China over trade are not new. The automotive industry has been a particular hot spot, with both sides trading barbs in recent years. --CNNMoney's Chris Isidore and CNN's Jessica Yellin and Dan Lothian contributed to this report.